Peter Mitev is the first world-class Bulgarian entrepreneur to be selected by Endeavor in October 2015. 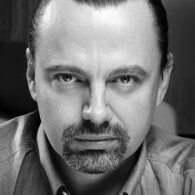 Peter Mitev is the CEO and co-founder of Chaos Group (www.chaosgroup.com) – a Bulgarian computer graphics (CG) software company that develops one of the most successful 3D rendering solutions for media, entertainment and design industries. A rendering engine converts 3D wire frame compositions into 2D images with light and shadow-simulating algorithms. Their flagship software, V-Ray is the industry standard and compatible with 13 (15 by 2016) of the most popular 3D imaging platforms. Based in Bulgaria, Chaos Group has offices around the globe—in Los Angeles, Baltimore, Japan, and Korea—and has been used for the top CG projects across industries. Big clients include Gensler Architects and the design studios for Game of Thrones, Halo, Terminator, and many more.